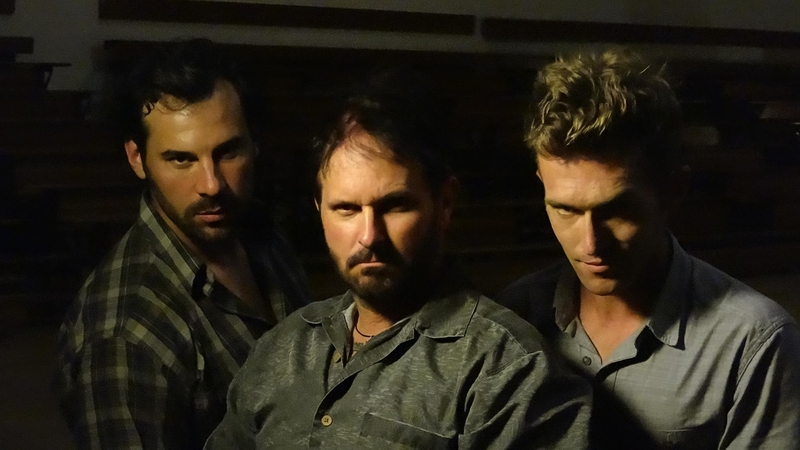 Today on CSReview Hollywood actor Larry Laverty is talking about a new horror film production he just finished working on – The Control Group, directed by Peter Hurd. CS: Welcome to CSReview, Larry! Nice seeing you again. What can you tell us about your recent film project? Larry Laverty: I’ve been in a few movies now, over one hundred at last count, but hadn’t experienced anything quite like my adventure on director Peter Hurd’s first feature film The Control Group. I’d been talking with my good friend David Fine, also an actor, about this movie he was going to be taking part in back in Minnesota. CS: And so you were immediately hooked? Larry Laverty: Well, he’s mentioned it off and on over a period of a couple of months and then one day he told me he had a conflict with another project he was prepping for at the same time. He asked me if I’d be interested in talking with the director about taking over the role. So I did, I was hired, and I hurriedly prepared my role and travelled to Minnesota three weeks later. I spent a month on location in Fergus Falls, Minnesota, working from the very first day of the shoot to the very last day. CS: What can you tell me about the set? Larry Laverty: We were going to shoot almost exclusively in an abandoned asylum built in 1895 that is scheduled for demolition after we leave. When we first arrived the place was populated by hundreds of bats. Some parts of the facility look as if the staff just walked away from their jobs yesterday while others are crumbling. CS: So, why was Fergus Falls picked for the project? 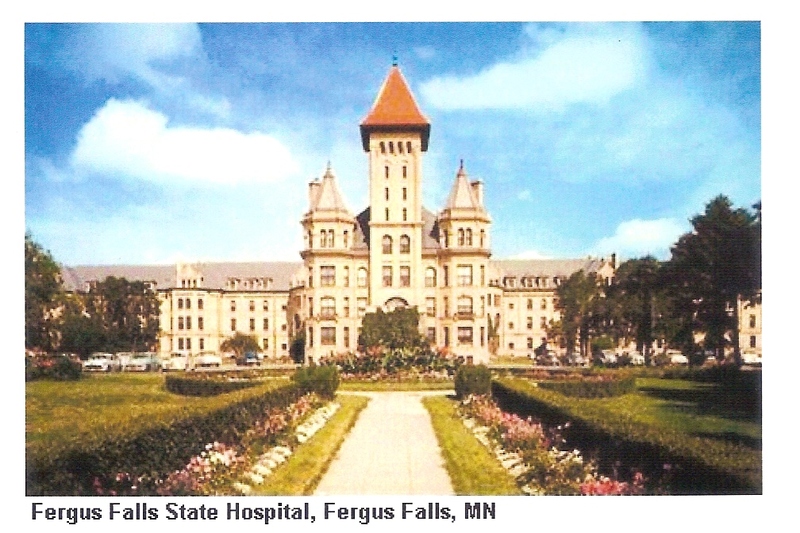 Larry Laverty: Fergus Falls was chosen as the location for the film because of the access the production company had to the now abandoned, 120-year old mental hospital there. It’s a humongous facility, built in 1890, with all the trappings of the mental hospital of your dreams. To top it off, much of it is in wicked disrepair and now home to hundreds of bats. You could never build a set for a movie of this scale or style. We shot in the tunnels beneath the structure, in the hallways, and in countless rooms. and every day and every inch of the way, you couldn’t work without being reminded of what went on here over the years. The history of how our society has dealt with the mentally ill took place in living color here over the years. CS: What kind of history? Any living memories? Larry Laverty: Good and bad. Many records of the goings on have been destroyed, rooms permanently sealed shut or demolished, and many lives were lived with no record of their existence. Over 3,000 souls died while committed here and are buried in a remote cemetery, out of view from the public, about a half mile from the main building on grounds surrounded by farmland once used to feed the patients and workers. To see this graveyard only accentuates the pathetic history of the institution. Of all the graves there, markers sit atop only a couple of dozen, in random, improbable fashion. All the other graves can only be detected by the shallow impressions left by the years of settling earth that have gone on. It’s all very sobering. So in this setting, we made our movie, a drama that turns into a thriller, that turns into a horror, with elements of the super natural sprinkled on top. CS: This is very humbling, Larry, as well as terrifying. Who is your character in the film? Larry Laverty: I play a government agent, of the special ops type, tasked with monitoring the operations of a secret government experiment on mind control. The experiments are done on college students who have been abducted and seems to be going well until something goes terribly wrong and the patients along with the staff and myself are forced into a run for our survival. The story has everything, in terms of plot and in terms of visuals. CS: Sounds like something right up your alley, Larry. Who are you playing opposite of? Larry Laverty: The lead scientist played by Brad Dourif who’s in the middle of a fantastic acting career that got its momentum from his incredible role in the highly acclaimed film One Flew Over the Cuckoo’s Nest. Since the film happens to be one of my all-time favorites and I’ve watched it countless times. Everywhere we went during off hours, someone would come up to us, having recognized Brad and starts a wonderful conversation. Likewise everywhere we go, somebody mentions that their mother or their sister or somebody they know used to work at the asylum and the stories keep growing. CS: What was the most memorable during production? 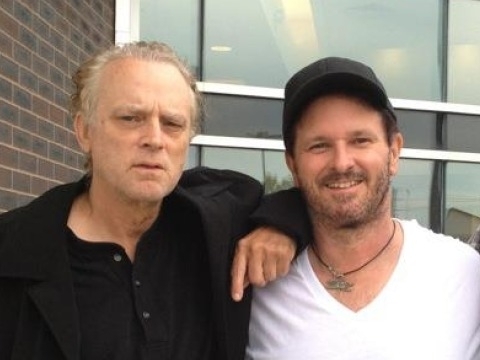 Larry Laverty: I still haven’t gotten over the fact that I was working with Brad Dourif who I’ve always respected. Now a month since I left Minnesota following completion of the shoot, I still have vivid images of the creepy asylum there in Fergus Falls and the bats that lined the hallway ceilings when we first arrived. It was a twist of history that while our production was in town, the city fathers were embroiled in a fight to determine when the building, save for the administration portion, would be raised to the ground and erased from sight. CS: Incredible. What is to happen to the building? Larry Laverty: The Minnesota state legislature has already set aside the funding to demolish the place, so I consider myself grateful for the opportunity to have toured the structure and to have made a movie there. Life went on in Fergus Falls once the facility, at one time the largest employer in town, closed its doors. And once the building is demolished, life will go on then too. But I for one, got a glimpse into a world that remains out of sight to our society, the world of the mentally ill and how we as a community deal with them. CS: What are you taking with you from this project? Larry Laverty: I, for better or for worse, have been aware of the less fortunate all my life as my elementary school was situated right next door to a school for ‘retarded’ folks. From the very first day, we were instructed to never look through the cyclone fence that separated our two playgrounds, never attempt any contact with those individuals on the other side of the fence. And so it’s been through human history. I’m grateful to the makers of this movie, not only for the fun and adventure I had in the making of the movie, but for the opportunity to meet so many wonderful people in this community of Fergus Falls who took such great interest in what we were doing in this facility that has loomed over a community for so many years. CS: Great to be talking to you, Larry. Thanks for stepping by, and break a leg on your next film set!